We express our sincere gratitude to the delegates of MDRS foundation, Dr Robert Zubrin, Dr. Shannon Rupert & Carie Fay for providing us this opportunity to participate in this simulation mission. We convey our sincere thanks to the associates of MDRS looking after various areas. We sincerely thank the mission support and CapCom for their continuous support and cooperation to make our simulation better by educating us to maintain the right protocol. We want to thank Mr. Atila and Mr. David for their friendly and comforting nature with all support. Finally, we would like to thank our friends and supporters without whom this mission would have not been possible. The mission support and Cap Com. Reaching Mars was one of humanity’s most ambitious undertaking. The direct result of the decades-long global space race and the sheer audacity of humans to take exploration to the fastest reaches of our solar system. But make no mistake, this is no easy journey! The trip to Mars is as dangerous and challenging as anything we have ever tried. The journey alone seems extremely difficult, given the hostile environment of space. Nevertheless, if we manage to reach Mars (and not die on impact), it is empirical that if extremely difficult to survive the cold red planet! MDRS has bestowed a great opportunity for us, an all Indian crew this time, to drain our fears and it has given us insight beyond the horizon. It has given us a short glimpse, of how it would really be to live on Mars. The team – Crew 204 is a group of a super enthusiastic aspiring astronaut, who is determined to contribute their part towards the isolation program at MDRS. It becomes difficult at times to be all alone in isolation, but the Crew-204 is determined to conduct their research, no matter what the situation be. Our participation in MDRS will allow us to establish a research framework to continue our collaborative research activities for a long-term space exploration in near future. 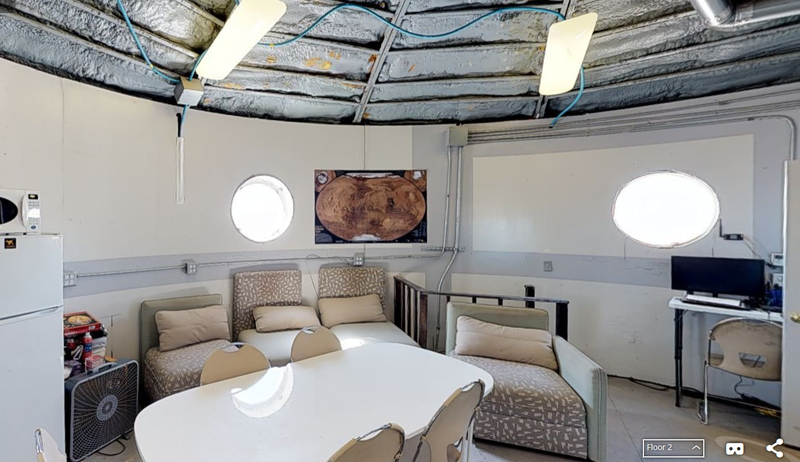 This inquisitiveness to encounter a thrilling environment would be possible to find at Mars Desert Research Station (MDRS). 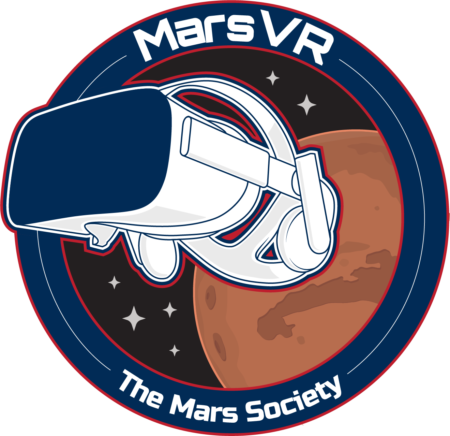 The Crew 204 is a group of astronaut aspirants committed towards contributing for ongoing researches that are conducted under isolation during MDRS missions. Crew 204 is an organized team which outlines the framework to understand the necessity of performing scientific and technical experiments in isolation. We have realized how important it is to expand the boundary of exploration with an intercultural and interdisciplinary aspect. Our participation in MDRS will allow us to establish a research framework to continue our collaborative research activities for a long-term space exploration in near future. When it comes to colonizing Mars, it should be taken into account that the environment on the red planet is extremely hostile. Crew-204 is simulating a real-life environment on how life would be on Mars. We are made to experience a real-life adventure through analog. 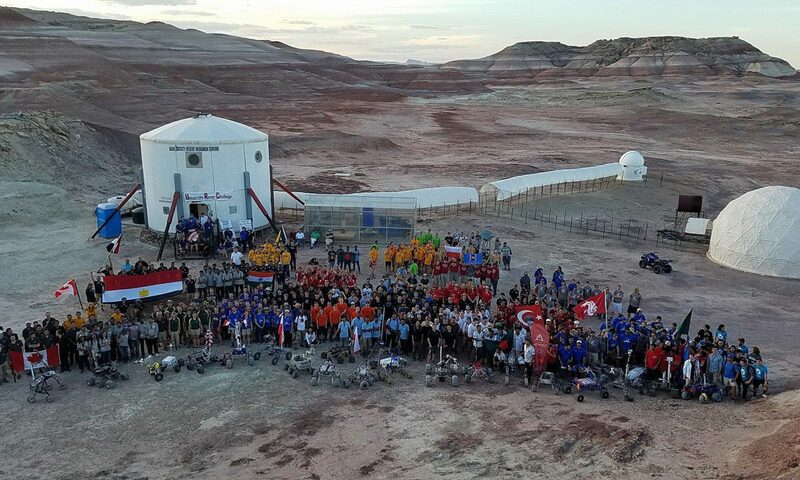 Considering the facts of possible challenges to survive in the extreme environment on MARS, the Crew 204 is paving their way to pursue a real-life analog simulation under isolated environment. We are instigated to experience a real-life adventure through analog simulation while resembling an extreme environment and living in isolation with crewmates in surroundings similar to the planet MARS. This mission is designed to gain knowledge and practical experience working with crewmates with diverse background with intercultural and international aspects. This mission would also allow us gaining insight scenarios of an astronaut program and selection process for the long-duration space mission. With the recent technological advancements and scientific knowledge base, it is very important to perform some sophisticated assessment to find another frontier to explore and develop the strategic methodology, which could be beneficial to develop effective team compositions and technologies for the long-duration space mission. All this is just a small step towards the new adventure, that will take us, even deeper into the stars above! In any mission, the ‘Extra-Vehicular Activity’ is considered as a fundamental element. However, the first Sol started with an invitation from a great explorer and admirer of nature Mr. Jad Davenport. It was another wonderful opportunity to exhibit the MDRS crew preparation for the simulation. Crew 204 feels honored to participate in a session invited by such personnel. Followed by this, the Crew 204 had performed total 10 EVA’s for general exploration, collecting soil samples while capturing some beautiful moments, landscapes and mesmerizing beauty of the nature. No Astronaut launches for space with their fingers crossed. That’s NOT how we deal with risks. We calculate and recalculate and re-recalculate our equations and then bid Godspeed. GreenHab was one such moment of introspection for me. It gave us an insight into how something as simple as gardening, can be so much revealing. Below is a summary of how it all has been so far. On January 30th, we started with 267.5 gallons of water in the tank, the sprouts beans were planted and were kept in damp soil and the next day, it already started sprouting. These sprouts were later harvested on February 1st. Meanwhile, another mixture of seeds of Mat bean, Kidney bean, Fenugreek, and Sesame was kept ready for planting. These two were kept in damp soil and the moisture in it was always maintained. A mist of water was sprayed on them every once a while to ensure that the soil doesn’t dry out. In a couple of days, the seeds busted out to give way to the newborn roots. All the sprouts in every soil tray had good growth. A couple of days more and we got used to the petrichor of soil; it somehow had a relaxing effect on the mind. On February 5th a tiny leaf appeared, and we hopped in joy. We can only imagine what a great moment of introspection in human history if we could be the first people to find that one little-fossilized flower on Mars. The next day, after almost 73 gallons, hours of supplementary light and lots of care later, the plants were noted to be in great shape and health. Since a decade, human being had been envisioning to establish a colony on Mars. Human colonization on Mars would be challenging because of the extreme environment but, it could be a perfect outpost to accumulate resources outside the Earth’s gravitational field. An operational Martian village would be economical, resourceful and efficient for human settlement and conduct further missions into deep space. Additive manufacturing (a.k.a 3D printing) has become a choice of interest for building a habitat on Mars. The purpose of this experiment is to find conceptual design and evaluate the feasibility of using 3D printing technology for building infrastructure and habitats on Mars. The aim of this experiment is to evaluate the additive manufacturing (3D printing) capabilities with artificial mars soil simulant to develop structures. In this method, the Martian soil simulant is mixed with binder chemicals in a certain ratio or proportion to obtain a colloidal suspension. The prepared ink is placed inside a tube and extruded to develop 3D structures using a customized 3D printer. A trial experiment has been performed with MARS soil simulant which has been utilized to prepare ink mixed with a polymer. The prepared ink has been 3D printed to develop some shapes and structures. The 3D printed bodies have survived and remained intact through an open-air drying for several weeks. It feels great to see the initial stage of germination and plant growth in different soil compositions that are prepared by varying the amount of garden soil and carbon dust (extracted from charcoal) by combining with MDRS soil and JSC-MARS-1. The JSC-MARS-1 and it’s organic mixtures seem more promising as compared to local MDRS soil mixtures. The plants that are transferred from regular garden soil to JSC-MARS-1 Mixtures are surviving and growing even the germinated seeds started sprouting. But, the MDRS local soil and it’s organic compositions seems to hold less capacity to provide enough nutrients to the plants which started dying on the first day of transfer. At the same time, the water is drying out quickly from these mixtures. Although it is the initial stage of the investigation, however, more iterations through a long duration observation are required to derive the conclusions. In the last few years, there are lot of features like caves, vertical holes, lava tubes and basins on the Lunar and the Martian surface that has been discovered by various rover missions as well as Orbiters such as ISRO’s Chandrayaan-1, Maven, Curiosity – Opportunity rover, NASA’s Lunar Reconnaissance Orbiter, Japan’s Lunar Orbiter SELENE. For future Lunar- Martian exploration and future human settlement, skylight is argued as the confirmed underground location. To investigate the lava tubes, The dual rover system will be deployed on the surface, one with the parent rover (4 wheeled rover ‘MoonRaker’) and second is the child rover (2 wheeled rover ‘Koguma’). The parent rover will be anchored on the cliff while the child rover will be deployed to investigate the lava tubes with the help of flexible length tether providing power and data transmission from mother to the child rover. MDRS is the best platform to test the child rover tether system. The child rover project is a 2 – wheel rover system designed and developed by Sipna College of Engineering, India with collaboration with Nix Olympica Crew 204. The rover prototype was based on the IOT platform having the capabilities to be operated from India with live Audio/Video streaming. The project was undertaken by the crew Engineer. There was a problem with the rover inboard system during the transportation to MDRS the problem was solved during the mission. The main objective of the rover was to test the rover system at uneven inclined plane at MDRS platform in person and remotely from India. A local server was created to operate the rover connecting via the onboard Wifi Module and cloud computing platform. Various test like Indoor, outdoor, Wifi Module range test, Local Server test, tether test as well as Audio/Video tests were performed during the simulation. The project concluded well as all the test were a success except the tether test. The eye catching about the rover was being operated from Sipna College of Engineering campus India which is 13000 kms away from MDRS. The rover still needs some upgradation with its tether system and little work on its stabilization. It had been a difficult journey for the entire crew, to convert the impossible into a successful mission. Leaving the family and being into a complete isolated place with limited access to internet has been challenging. However, this had been a golden opportunity to have a self-analysis and gain an experience of extreme environment. This opportunity has made us aware of the fact that being an astronaut is not only a dream, this profession holds lot of responsibilities! We had an incredible opportunity to operate a rover from India, and we believe that this initiative will inspire other aspirants just like us to pursue their dreams on platforms like MDRS. In general, there were no anomalies, The Hab operations, RAMM operations, Green Hab Operation were nominal. The crew 204 came up with their own projects which were successfully carried out along with their daily MDRS duties. The Crew was a best fit though it was a small crew, the objectives were accomplished. The workload was more but the team members had good bonding, understanding, trust, maturity, professionalism among each other. Water is life, Water was used very carefully in daily activities, the crew used ~ 300 gallons of water including the Green Hab water consumption. The food was sufficient for the crew of 4 members. The help and support from Mission Support is applaudable as they were very attentive and responsive to reports and requests. Living in isolation for days, with none other than the crew isn’t as easy as it sounds. One may have personal differences, habits or daily rituals that the other person isn’t used to. The MDRS has taught us – Crew 204, many things along with the baseline objective. It has taught us to live in harmony, to develop interpersonal relations, to work – not only for ourselves, but for the greater good of the entire team. And most importantly, it gave us hope and reminded us that “Life finds a way” not matter how hostile or seemingly impossible the environment.